Blocked drain in the Lower North Shore? Maybe you’ve got a gurgling sink or a toilet that won’t flush. Maybe a pipe is creaking every time you turn the tap. Maybe your bathroom is flooding during the morning shower.You need the local expert. Active in the Lower North Shore for over 30 years, we’re your trusted tradies. Blocked Drains to the Rescue are your go-to- team. You need Lower North Shore blocked drain plumbers who are trusted, reliable, and honest. You need our team. So don’t wait: when your drain clogs in the Lower North Shore, call the experts. Call us on 02 8789 2512 or click here to book your job online. We’re always ready to rescue you! You can’t predict a Lower North Shore blocked drain. There are signs and symptoms, sure, and early warnings. But drains can clog for a variety of reasons, without warning, at any time. It’s important to act fast. Waiting on a blocked drain means letting water and waste build up. You’re potentially risking a cracked or burst pipe. Or flooding. And with all of these comes irreparable water damage, not to mention wasted time. You need an on-time specialist you can trust. We’re that team. With our tradies on the go 24/7 in fully stocked vans, we’re always nearby. We keep our vans tracked by GPS, so we can identify the closest technician to your site and get them there ASAP. No waiting around. No mucking around, either – once on-site, with 150 specialist tools in their van, your specialist will be able to repair the job on the spot. Whether night or day, you can trust us. 365 days of the year. We’ll show up at the agreed time, and even call you en-route to ensure you know exactly when to expect us. Behind the scenes our amazing co-ordination team work to keep everything running smoothly. These experts ensure you’re getting the best, most reliable, accurate time-frames for everything from arrival to job completion, and they’ll keep you informed, every step of the way. Don’t worry. We’ve got you covered. For the on time tradies you’ve been looking for, call Blocked Drains to the Rescue on 02 8789 2512 or click here to book your job online. We’re the honest team you need. Ever had a drain service in the Lower North Shore that left you more than unsatisfied? Don’t bang your head against the wall with dodgy dealers. Trust the experts. Each of our technicians is licensed, qualified, and certified in all kinds of drainage plumbing. Everything from toilets clogged to tree roots in drains – and all the blockages between. With 100% insurance and a labour warranty to kill for, you can trust us with every kind of blocked drain repair in the Lower North Shore. You deserve honesty, too. You deserve an up-front quote. We’ll always give you one. And we’ll never deviate from that price. Because we charge by the job, not the hour, and only quote after inspection, we can give you an accurate, honest costing of the job at hand. You’ll never pay more than you need for the repair to be completed. You’re only paying for the work done. Not the time it takes to do it. That’s the best deal in the business. We’ll even send you a meet-your- team email so you can know exactly who will be coming to the door. No surprises from us. In short, you’re dealing with experts, and customer service professionals to boot. 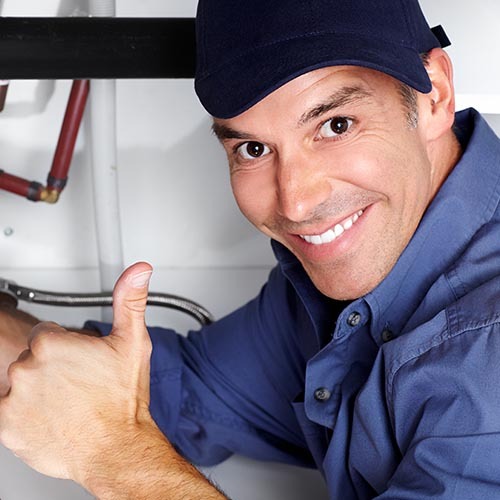 You’ve got no better choice for a blocked drain plumber Lower North Shore residents can trust. So don’t wait. At the first sign of a drain blockage, call the experts. Call us today on 02 8789 2512 or click here to book your job online. We’re always ready to rescue you! Nothing beats the Lower North Shore. Great, wide open properties, beautiful views, leafy streets. It’s fantastic. There’s no better place to live, work, and raise a family. We love the region. A visit to Taronga Zoo is always a great day out, either with or without kids in tow. The huge variety of animals on exhibit makes the Zoo one of the most impressive in the world. Call Blocked Drains to the Rescue today on 02 8789 2512 or click here to book your job online. We repair what your husband “fixed”!